A selection of our Christening packages to suit all party sizes and budgets. 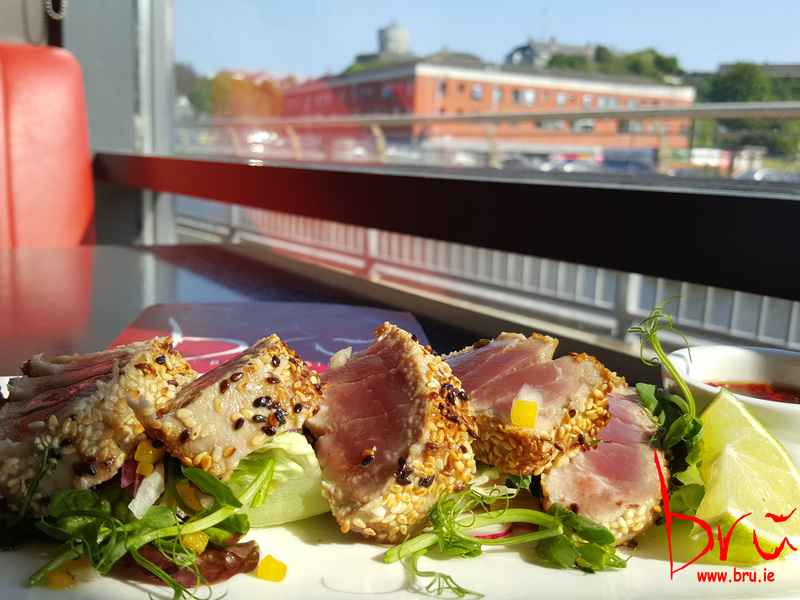 Enjoy a delicious dining experience. 5 star food at bistro prices. served with garlic creamed potato, frizzled onions & florets of broccoli, topped with a classic chasseur sauce. with a cucumber & red pepper salsa, dressed salad leaves and hoi sin dipping sauce. served with red pepper aioli dipping sauce, accompanied with cumin & coriander dressed salad leaves. with fresh & smoked fish infused with fresh herbs & dry Martini, hints of Pernod and served with homemade soda bread. marinated in a secret recipe sauce, with garlic mayo and celery sticks. on a bed of creamed potatoes with roasted root vegetables in a rich rosemary jus. with homemade bru relish, onion rings & baby gem lettuce served on a brioche bap with homecut skinny chips. warm chocolate brownie served with vanilla ice-cream, topped with a luxurious chocolate sauce. sugar coated apples in sweet pastry served with créme anglaise & vanilla ice-cream. with vanilla & honeycomb ice-cream, toffee sponge chunks, cream & toffee sauce. a luxurious mint chocolate cream cheese filling on a biscuit base, garnished with milk chocolate flakes. soaked with Jamaican rum, served with vanilla ice cream and toffee sauce topped with toasted almonds. Deep fried cod in a crispy Brú Rua beer batter, with home cut skinny chips, tartar sauce & side salad. with chicken breast, crisp baby gem lettuce, smoked bacon, parmesan shavings & roast garlic croutons in a classic caesar dressing. served with crispy bacon, tomatoes, iceberg lettuce & mayonnaise served on fresh, toasted McCloskeys bread. toasted and filled with cheddar cheese, mixed peppers & sweet chilli mayonnaise. Mixed leaves, red onions, diced tomatoes and beetroot chutney topped with mixed seeds and raspberry purée. 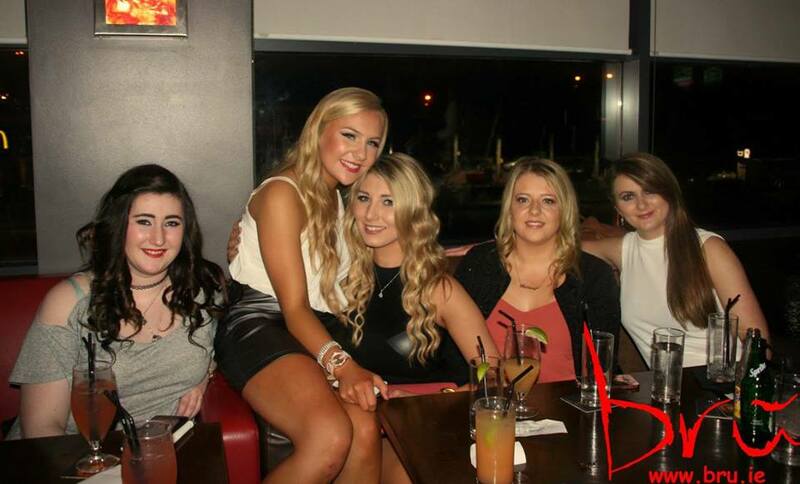 Brú Bar - the recipe for a great night out. buzzing atmosphere with great music, chilled beers, and amazing cocktails. Watch out New York - Drogheda does it better! Brú Bar, renowned for its fabulous cocktail menu, wide selection of cool beers, and great music, is the place to be seen. 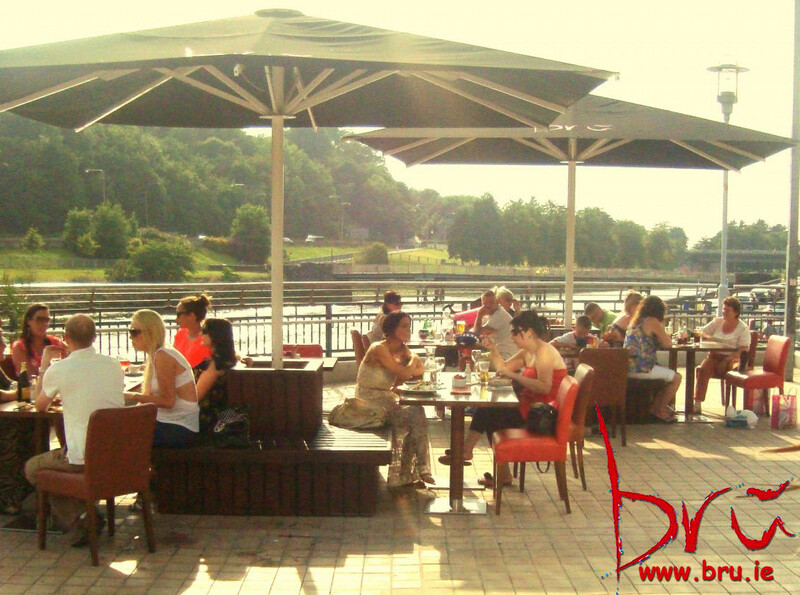 Brú Bar is furnished with large leather sofas, high stools and tables with cosy spaces for relaxing and chatting. The ultra modern lighting system means that the colours and tones in the bar alternate giving a very mellow chilled out atmosphere. 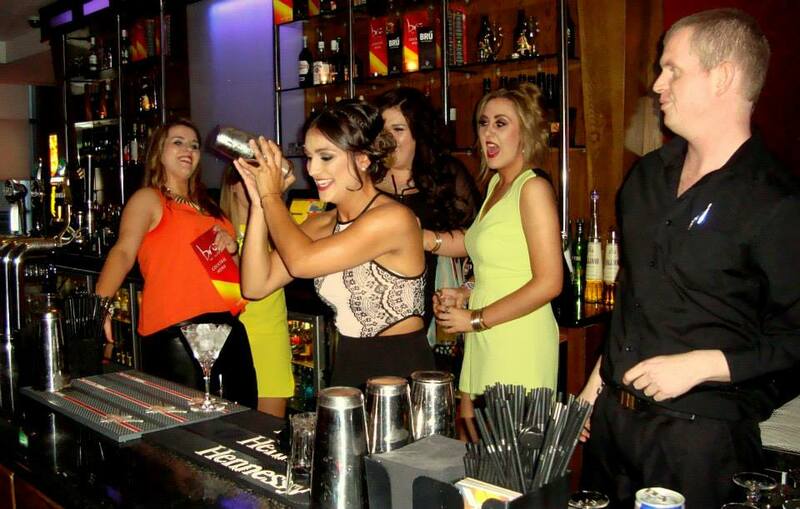 Brú Bar staff are hugely proud of their innovative and delicious cocktail menu. We welcome you to enjoy something a bit different this weekend. Celebrate your event with Brú Bar and Bistro. the perfect venue for your birthday, hen or christening celebrations. 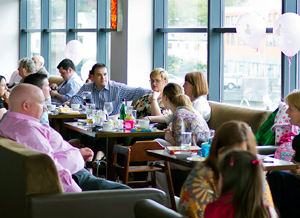 Brú is the ideal venue to celebrate that special occasion with family and friends. We cater for most functions and for all groups sizes from 10 to 300! Call us on 041 9872784 to enquire about your upcoming celebration. Come on down to Brú for Sunday lunch! Face painting and party games make Sunday afternoons so much fun for families. 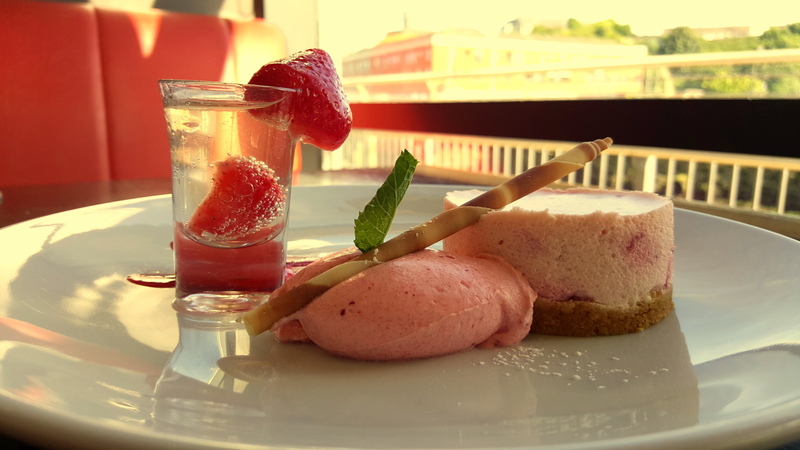 Brú bar bistro offers 2 hours FREE parking in Drogheda’s Haymarket carpark! Look out for signs pointing you towards Brú from inside the haymarket car park, and when you are finished enjoying your Brú experience, ask a member of staff and they will provide you with a car park validation ticket. On street parking around Brú is free of charge outside of the hours 08:00 – 18:00. Did you know that the entire bar and restaurant area in Brú is fully equipped with complimentary wifi access with a perfect signal throughout the building? 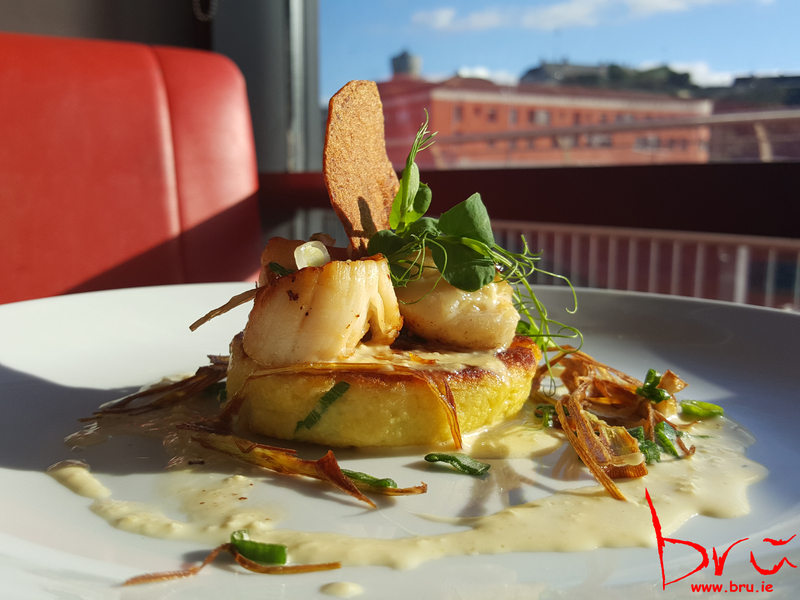 This service perfectly compliments any corporate event, business lunch or breakfast meeting, along with Brú’s fantastic food and superb views.